Just a quick update. We are looking at airplanes, getting a Bose headset repaired and working my way back in the air. A few friends have offered to get me back in the air. I'm going to take them up on their offers and get some air time, it's the next step in the healing process. Planes of interest are the Commander 114's, Beech Sierras and I have even thought about crossing over to the high wing side. 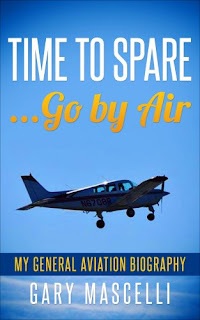 Yes, I have been looking at Cessna 182RG's and even a couple of 210's. I hope to post a video of my return to flight very soon. Thanks for following along on our healing process and the return to flight. I am excited for you to get back in the air. It's what you love - well besides Mary and the mutt. Actively researching planes and looking forward to my return to flight. Anxious to get back to travel and videos. Best wishes for your return to the air, Gary.